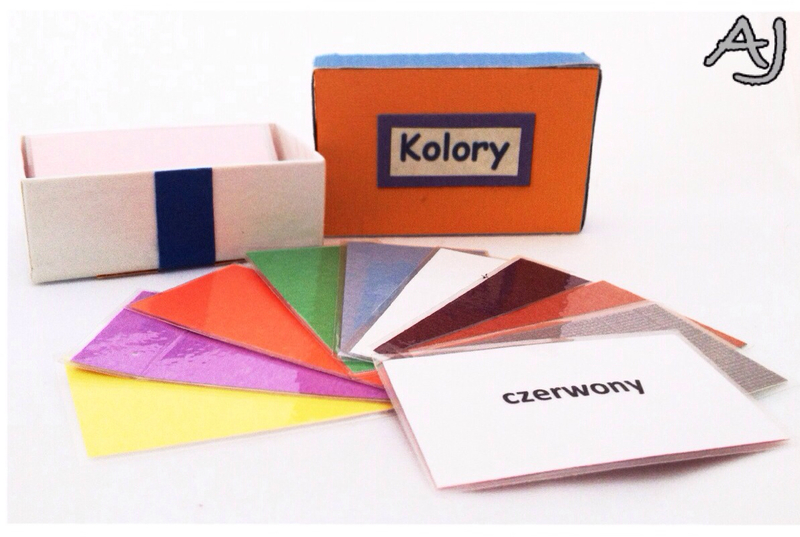 Here's an example of a do-it-yourself set of colors that you can make with your students to use for teaching Polish as a second language. Note: I included the names of the colors on the back of laminated pieces and made a little box to store everything in. Whenever my daughter sees this box or reaches for it herself, she switches to Polish. make 1 pile of colors and ask students to predict which color is under the one we can see. let students use their sets of colors for self practice by making them available for self selection time. These are general ideas that I'd like to invite you to adjust to the level and needs of your individual student(s). Please come back to share your experience and ideas!